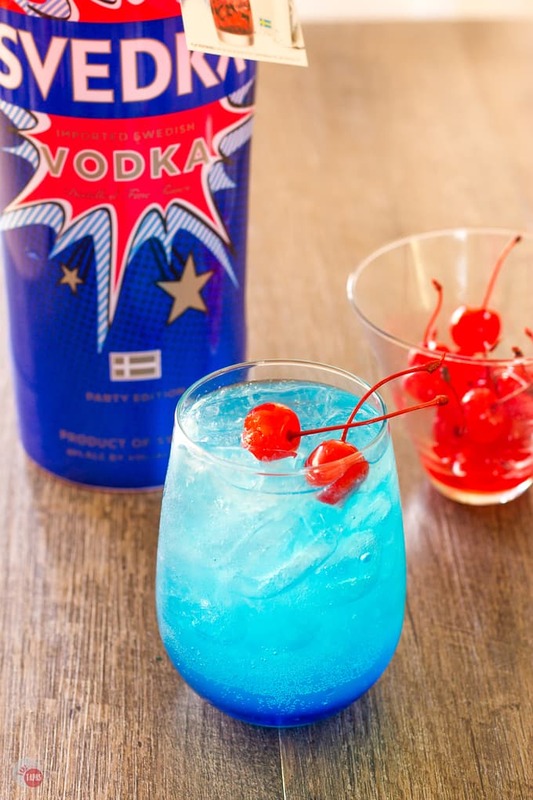 This red, white, and blue Space Pop cocktail has the look of a patriotic drink with flavors of lime, orange, and cherry. Perfect for summer sipping! Even though I am working on my adulting, going back to my childhood for some cocktail ideas is perfectly ok. One of my favorite lollipops as a child is the inspiration for this Space Pop Cocktail! The star-spangled colors make it perfect for all the patriotic holidays of summer. Started in the 1960s in reference to the “Space Race” going on, the lollipops are made with three distinct layers (red, yellow, and green) in a tight cone shape. Actually being poured into the wrapper, a stick added, and then sealed with edible wax. The flavors of the lollipop are cherry, passionfruit, and pineapple. As a kid, I knew the actual flavors, but to me, they always tasted like orange, lemon, and cherry. Maybe a trick of the mind because of the colors. These three mind-tricked flavors are what inspired me to make this new version of a Space Pop into a Space Pop cocktail. Because we celebrate so many Patriotic holidays over the summer months, I think I will make something with a red, white, and blue appearance. Red, white, and blue don’t really scream orange, lemon, and cherry. Well, maybe the cherry does. Thankfully they make an orange liqueur that is blue. Perfect!! The white layer is handled with limeade that is mixed with vodka and soda. The cherry red color is handled in a fun way because I am making cherry red ice cubes to add to the top of the Space Pop cocktail. 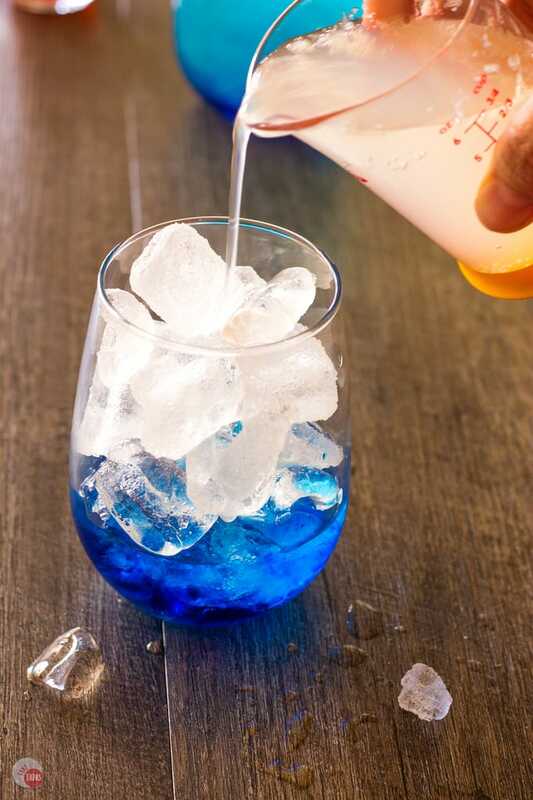 A quick ice cube made from grenadine and lemon-lime soda that keeps your drink from being diluted in the summer heat while adding a fun pop of color is a great way to dazzle all your guests. I use these silicone ice cube molds to make the red ice cubes and I also use them to perfectly portion out my cookie dough so all my cookies are the same size! The ice cubes are 1 part grenadine and 1 part lemon-lime soda. Feel free to use soda water or the limeade that you are putting in the cocktail. Do not use the vodka in the ice cube mixture as the cubes won’t freeze properly. Just mix the two components together in a container with a pour spout. Pour into the ice cube molds and freeze for at least 4 hours. Make as many as you need and keep them for the kid’s drinks if you don’t use them all right now. Next, let’s gather the rest of the star-spangled cocktail ingredients. Grab some blue orange liqueur and vodka. I always have some on hand because I have a well-stocked bar, and I like to entertain! Last, grab some limeade. You can use store-bought already prepared, or the frozen kind and prepare per instructions. I love limeade so I always have a few bottles chilling in my fridge during the summer months. Grab some Maraschino cherries while you are at the store. Get the ones with the stems so you are not digging around in the jar or your drink when you are ready to eat it. Feel free to send me pictures of you and your guests tying the stems into knots! I love those kinds of photos. Funny story about Maraschino cherries… I walked past two ladies in the ice cream section of the store and overheard one lady telling the other what ingredients were in Cherry Cordial Ice Cream. Not that I should have been listening, but their accents were pretty “country” as we were in South Georgia, and one lady was older and the other considerably younger. I stopped and pretended to look at something in the freezer case with my headphones in so I could hear the answer. The younger lady proceeded to tell the older lady that “cherry cordial ice cream contains chocolate chips, ice cream, and marching cherries.” Yes, you heard me. Marching Cherries. We now officially call Maraschino cherries, marching cherries in our house. So get the marching cherries with the stems, please! 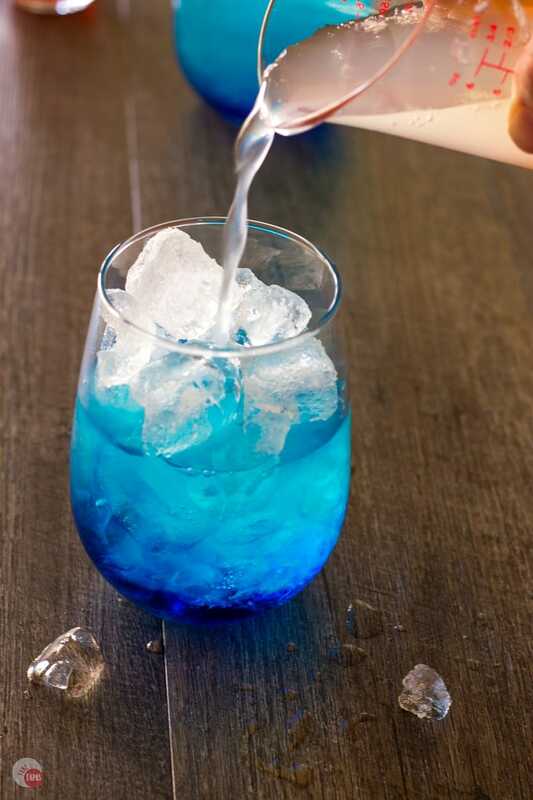 Start by pouring your 2 tablespoons of blue colored orange liqueur in the bottom of your glass. I like these stemless wine glasses as an “everyday” cocktail glass. They show the layers well and hold a sizeable drink. Fill up your glass with ice. I know you are using the cherry ice cubes so that it doesn’t get diluted but the blue colored orange liqueur is strong so it will be just right with the regular ice too. Mix the limeade, vodka, and the soda together in a container with a pour spout. Stir to combine. Slowly pour the Limeade mixture over the ice cubes. I like to pour close to the top ice cubes so the mixture drizzles down the ice and doesn’t splash the blue colored orange liqueur too much. This will help create the illusion of “layers” in the glass. A little mixture is going to happen but you can at least get a gradient. 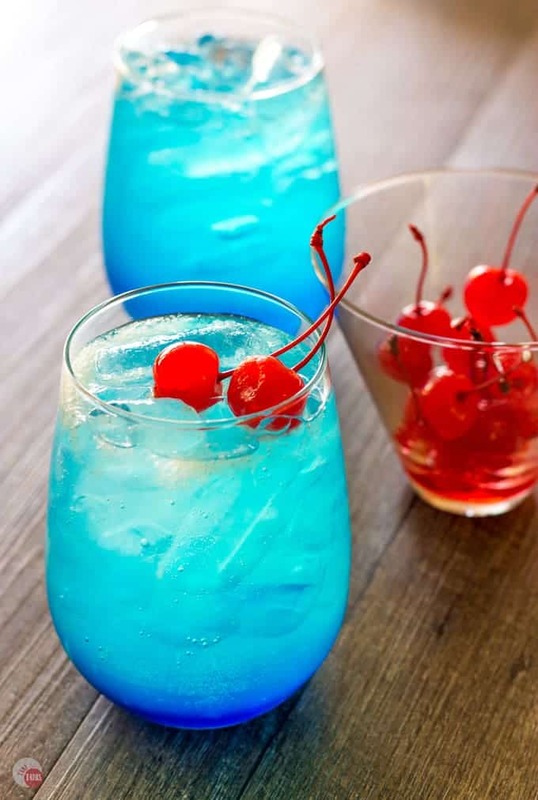 Now is the time to top off your Space Pop Cocktail with the cherry on top! 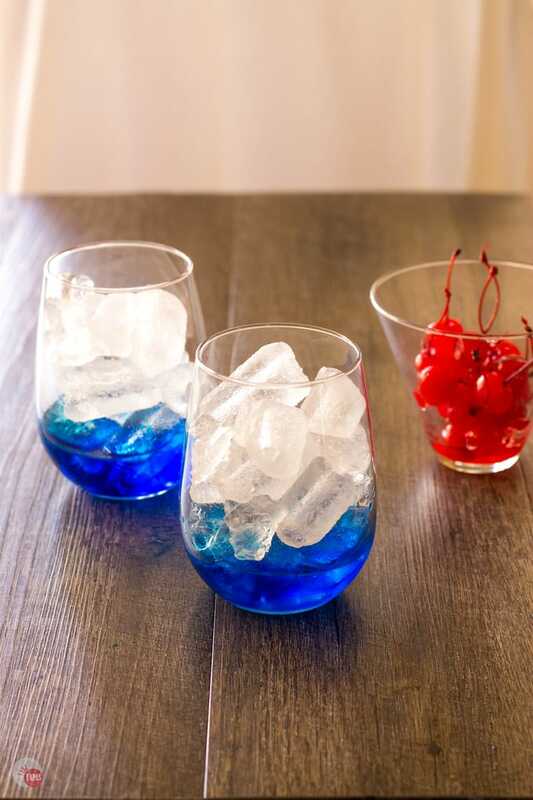 You can use your marching cherries or the cherry red ice cubes that you made earlier. 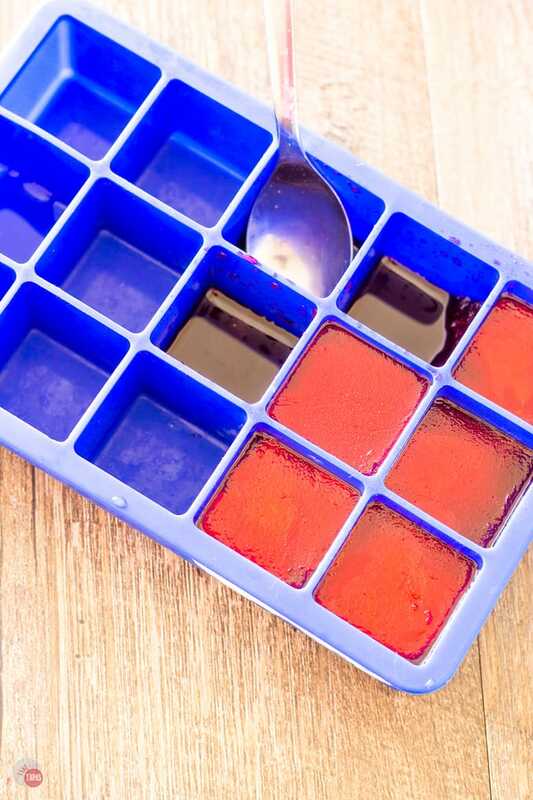 If you use the cherry ice cubes, you will get a slow melting effect where the grenadine will pull itself out of the ice cube first, mixing with the blue colored orange liqueur layer for a slight purple effect. See how the edges of the ice cube turn white? 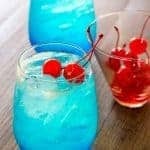 However you decide to put the cherry on top of your Space Pop Cocktail, you will have a great time drinking these this summer. Perfect for Memorial Day, Independence Day (which is also my Ma’s birthday), and Labor Day. 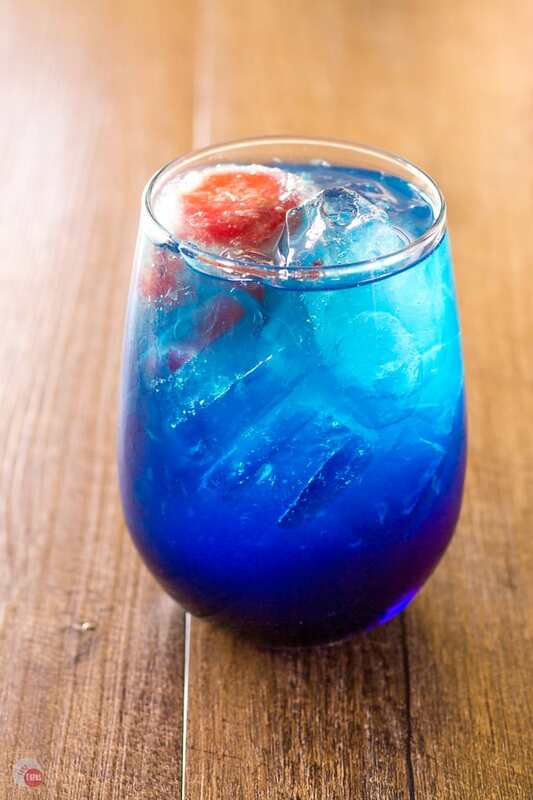 This red, white, and blue Space Pop cocktail has the look of a patriotic drink but with flavors of lime, orange, and cherry. Perfect for summer sipping! If making grenadine ice cubes, you will need to make them at least 4 hours ahead of time. Make the grenadine ice cubes by mixing 1 part grenadine and 1 part lemon-lime soda. Pour into ice cube molds and freeze until ready. Combine, in a container with a pour spout, the limeade, vodka, and soda. 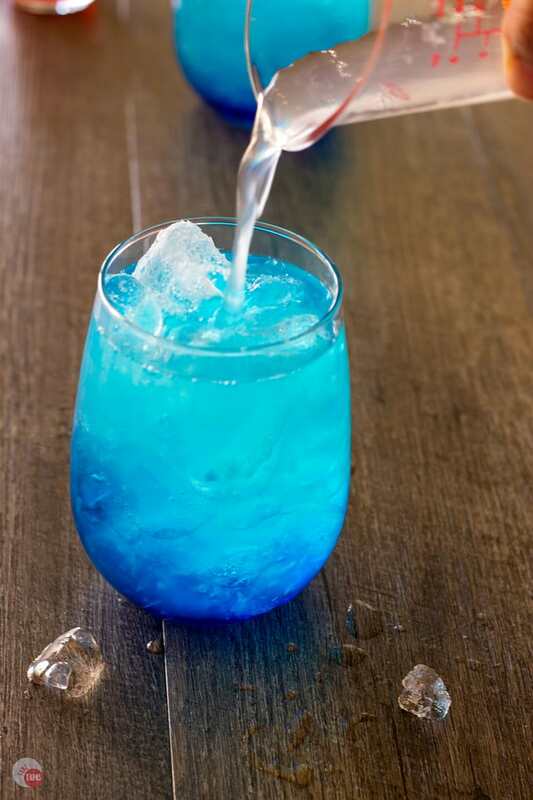 To make the Space Pop cocktail, start with 2 tablespoons of blue curacao orange liqueur in the bottom of your glass. Add ice to the top. Add your limeade, vodka, and soda mixture slowly. 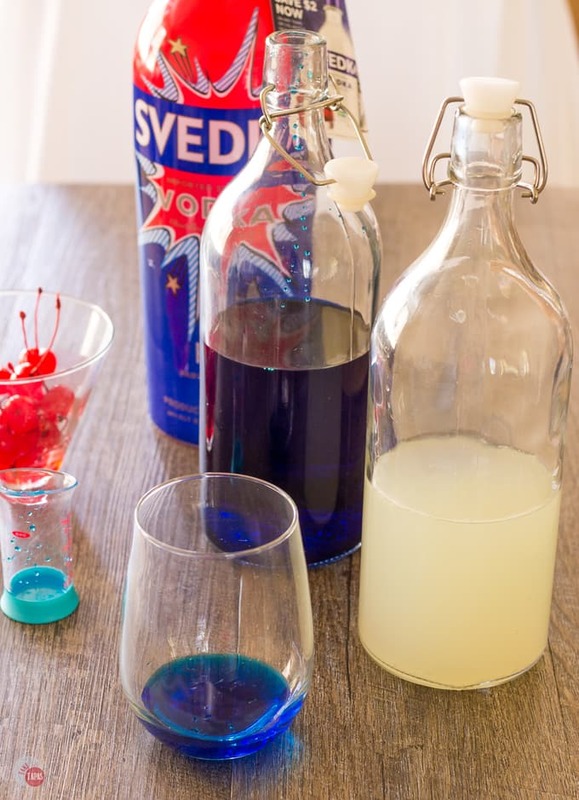 Add either Maraschino cherries or one or two grenadine ice cubes to the top for a blue, white, and red cocktail! 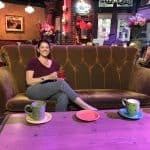 This content is intended for readers who are 21 or older. This shop has been compensated by Collective Bias, Inc. and its advertiser. All opinions are mine alone. The following content is intended for readers who are 21 or older. « Satsuma Orange Jubilee Cocktail – Only 3 Ingredients! Wow, looks like really amazing cocktail 😛 Especially for those sunny days it may be really refreshing. This is one drink I’d love to celebrate any day with!